Are you looking to enroll in a prestigious Business School? If so, then you must know you’ll need to take the GMAT exam to be considered by the best institutions in this niche. The GMAT exam will test your business abilities and intelligence by asking you to complete a four-part exam in three and a half hours. You have the freedom of choosing the order of the four sections which is great from a strategic point of view. For instance, you can choose to start with the sections you know best so you’ll have more time for the other sections. Integrated Reasoning – here you’ll be questioned on multi-source reasoning, graphics interpretation, two-part analysis, and table analysis. Quantitative - a section on data sufficiency and problem-solving. Verbal – as a businessman or businesswoman, you must know how to communicate effectively so this section will test your reading comprehension, critical reasoning, and sentence correction. You should also know that the GMAT examination (or the Graduate Management Admission Test) is a computer adaptive test (or a CAT) that will adapt to the student’s ability level. This type of examination is also known as tailored testing and it will deliver questions fit to your level of preparedness. Finally, the GMAT will test you on a broad area of knowledge and ability such as geometry, algebra, arithmetic, grammar, problem-solving ability, critical reasoning, and more. The main result of the test will show how fit you are in a world where you have to make quick decisions based on huge amounts of data. The GMAT exam is not only required by 50 of the top US full-time MBA programs, it is also required by employers of the top business companies in the country. A good result on the GMAT examination can give you the necessary boost of confidence to start a wonderful business career. 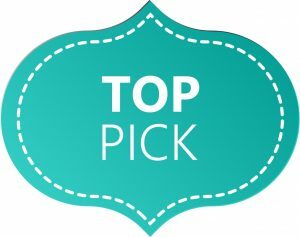 Still, in order to pass the examination, you must be prepared, and for this, we put together a list with the best resources you can find on the market today. 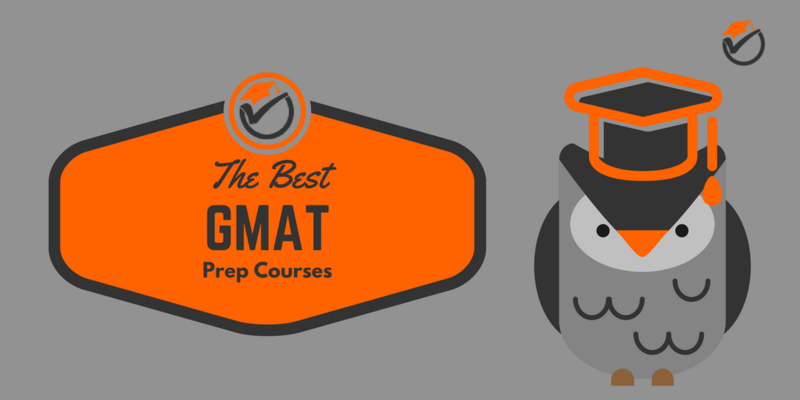 Below you can find the top 5 best GMAT prep courses you can study for your GMAT. Take a look and choose the ones that fit your needs. 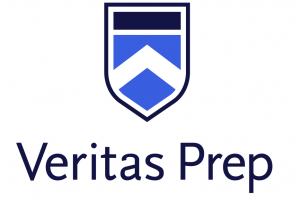 Veritas Prep is a company started by two MBA students of the Yale School of Management. The main purpose of the company is to offer GMAT preparation courses for those students who want to score the best results in order to be accepted to the best universities in the country. The course promises a 140 point average score increase from your current level of preparedness – a claim supported by over 300,000 students that took it. However, you should know that the course is specially designed for high-achieving, talented students so if you’re only looking to score a medium percentile, this may not be for you. The Veritas Prep course is currently the #1 in the world when it comes to GMAT and MBA preparation. They also offer access to high-quality resources that will help you set some pretty ambitious goals. Resources are available in video format, live online courses, or printed materials and you will continuously be exposed to the same level of difficulty you’ll have to face during the actual exam. One feature we know you’ll love is the full access to highly prepared instructors (instructors must have scored a 99% on their own GMAT test) that will teach the class but will also be there to answer your questions outside the class hours. Even more, all the teachers must demonstrate teaching excellence and the ability to help others in emulating their success on the exam. Finally, you will be put through an authentic diagnostic test that will help you learn about your weaknesses and strong points. You will also have a special study plan that will help you mark progress and easy access to online resources for your convenience. The other feature we really loved on the Veritas Prep course is the fact that you’ll be exposed to over 4,000 example problems! This is because the course was designed for the most determined students which we all know, like to test their skills over and over again. With lots of online and offline resources and the possibility to take the class online or in person, you can make sure you will be 100% prepared for the exam! And, to top all that, you get a free class to experience the Veritas experience before you enroll for a full course of 36 hours (which will cost you $1,299). With Manhattan Prep, you’ll have access to 27 course hours that can be taken online or in person. The full course will cost you $1299, but you can test the experience with one free course hour if you take their free trial. The idea behind a trial is to allow candidates the opportunity of peeking into the atmosphere and seeing if this is the right course for them. The Manhattan Prep was put together by a Yale graduate and a Teach for America alumnus who understood that students learn better from better teachers. So, the Manhattan Prep (born in 2000) is the answer to most students’ dreams and prayers – a place where they get to learn from the best of the best when it comes to teaching. By enrolling to the Manhattan Prep GMAT, you’ll have access to high-quality instructions which scored a 99% on their own exams. As a student, you can choose from an interactive online course you can take at your own pace, a boot camp course that can be taken online or in person, a live online course, and private tutoring where you get your own instructor. The latest version is also available in person, not just online. All the available versions include resources and the price and hours are carefully tailored to fit all students’ needs. If you’re interested in the complete course (online or in person), you will get 9 sessions in about 27 hours of course and access to a highly qualified instructor that will answer all your questions. The course also includes 6 Practice Tests and assessment reports that will help you understand your strengths and weaknesses. Even more, besides the online resources, you also get access to their #1 rated GMAT prep book bundle and custom 1-on-1 pre and post-exam assessments with an instructor. The Manhattan Prep course is focused on each student which is why their class size is small. The main idea behind this is getting a balance between individual attention and active participation. And, the teachers try to make learning a fun experience where even the driest material is put in an interesting light. Finally, these courses are not just about your GMAT – they also prepare you for your MBA application and offer advice on how to get into top-rated business schools. 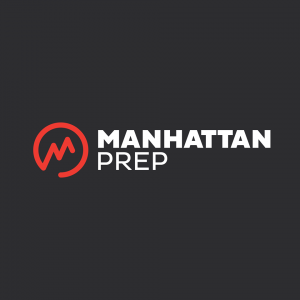 Overall, the Manhattan Prep Course is a full experience where students can get the necessary information and advice to boost them on an ascending career path. This is an online on-demand course that will only cost you $899. Still, before you jump at the lower price, we recommend thinking about the type of the course. On-demand lessons are not supervised by a teacher which can make some students drag their feet through the study process. Still, if you are determined, this may not be a problem. Even better, being an on-demand course, you can study wherever and whenever you want. And, with the available iOS and Android apps, you can literally take the course with you, in your pocket. The course promises a 70+ improvement on the test score and gives you access to five practice exams. Just like the real test, the practice exams use advanced learning technology that adapts to your skills and level of preparedness. Besides the practice exams, students are also walked through 5000+ practice questions that allow you to assess the real level of your preparedness. The Economist GMAT course is comprehensive and covers all the sections required for the GMAT examination. All lessons are prepared by highly trained instructors and you have the possibility to ask 100 questions that will be answered by a human instructor. Also, each lesson is easy to understand and concise covering only topics required for the GMAT. 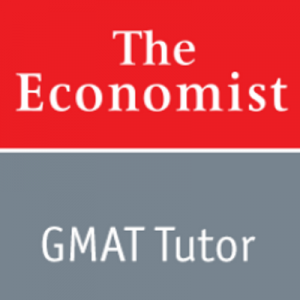 Finally, the Economist GMAT course includes Analytical Writing Assessment for grading your five essays and one-on-one tutor support (6 sessions). Just like the first two options on our list, the Economist GMAT Tutor offers a trial lesson that you can access here. This is the perfect way to check the course and see if on-demand tutoring is the best fit for you. In terms of value, we consider the Economist GMAT course, the one to offer the best value. + Advanced learning technology that adapts to your academic strengths and weaknesses. Kaplan’s offer for online tutoring is an 18-hour course with 6 sessions (3 hours each) that will cost you $1,249. The course is available in three versions: live online, on-demand, and in person so students can have their pick. While it does have a somewhat reduced number of hours, the course comes with a pretty interesting offer. Thus, besides the course hours, you also have access to 30+ hours of unique instructions on the GMAT channel. These instructions cover everything a student needs to know on advanced topics and they are created with the help of the best tutors at Kaplan. As an interesting feature, we have to mention the new study plan with personalized recommendations that consider your performance during the course. 3) 9 full-length computer adaptive tests that will prepare you for the actual exam experience. 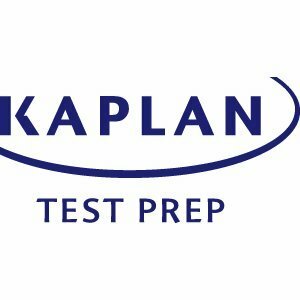 Kaplan also comes with the promise of improvement on your general score and a unique feature we didn’t see on any other online courses: the Official Test Day Experience. Kaplan is working with Pearson VUE to offer you the possibility of taking a practice test at one of the actual testing facilities. This way, you’ll go through the entire process and you’ll know what to expect during the actual exam. + The Official Test Day Experience is invaluable for getting rid of all your anxiety on the actual exam day. The Magoosh on-demand online course comes with a promise of 50 points increase on your final score. All resources are available online and for only $149, you get access to over 250 video lessons and 800+ practice questions. Finally, the Magoosh online course gives you access to two full-practice exams so you can get a bit of the real test experience. The lessons are comprehensive and to the point, but they also cover the main pitfalls most students don’t know how to avoid. Each student gets a measurable sense of progress that lets you know how far you’ve come. The course offers an intuitive dashboard with a graphical depiction of your progress, your estimative score at the exam and a comparison between your pace and other students. Students also get smart feedback on their performance based on difficulty, topics, time, and other criteria. This helps you identify weaknesses and strengths in your preparedness process. The Magoosh course is not designed to overwhelm students with questions (a practice easily seen in the options above) but they try to make every question count. Even better, to help you stay on track and not lose sight of your study, the Magoosh course comes with seven study schedules that would fit anyone’s timetable. 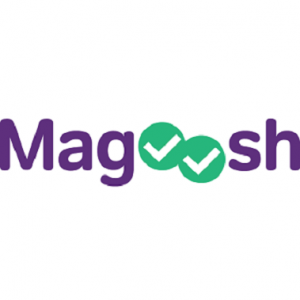 All interested students have the possibility to try the Magoosh system for free with their one week free trial. Even more, the available mobile apps allow you to study anywhere, at any time which makes things a lot more flexible. Finally, you can get email assistance from professionals if you ever get stuck in your study process. Online courses are a great way to study for the GMAT exam as they offer full access to a wide range of resources (not just prints). Even better, the offer is quite rich and you can choose according to budget and general level of knowledge on the matter. You also have the possibility to choose according to the level of improvement you need for the general score as each course guarantees a certain increase in score. So, before you choose, make sure to study the offer in order to find the course that answers your needs. After all, you don’t want to pay for an advanced course, addressed to high-achieving students if you don’t have the time or the determination to complete it.